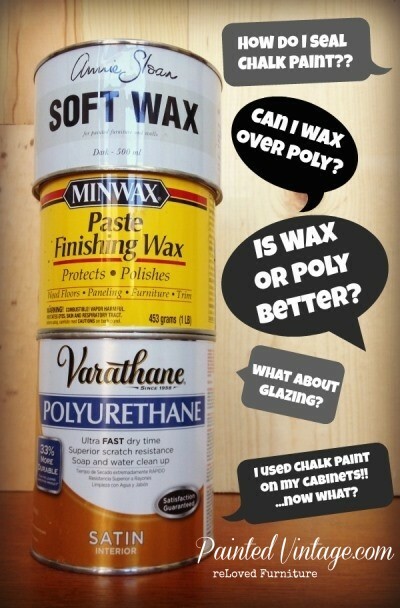 All your questions about using wax vs. polycrylic over chalk paint answered! 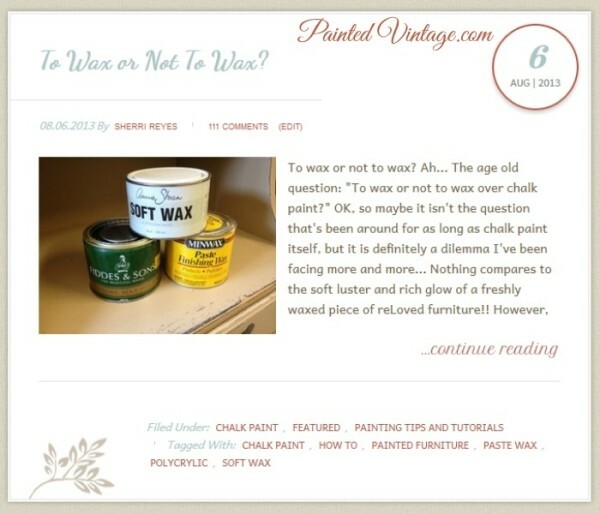 So, I decided to post an update with answers to your most frequently asked questions on applying a finish over chalk paint and wax alternatives. 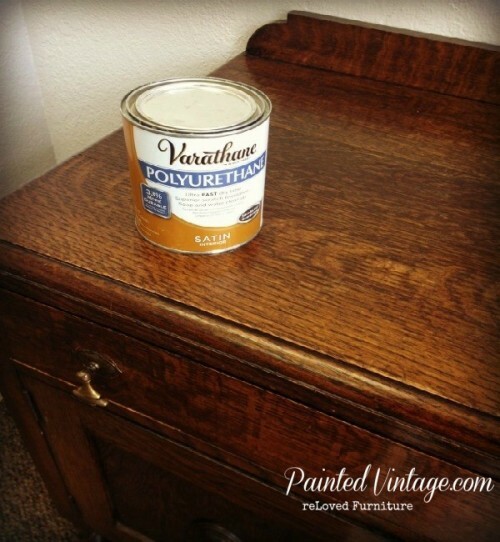 Should I use a wax OR polycrylic over chalk paint? The answer really depends on how you will use the piece of furniture and how much time you are willing to invest in maintaining the finish. As I explained in my original post To Wax or Not to Wax? while waxing over chalk paint (or any variation of chalk style paint such as clay paint, mineral paint, and even DIY chalk paint) gives you a gorgeous velvety luster, it is NOT A PERMANENT finish and must be reapplied frequently to maintain the look and the protection of the wax. So if you absolutely must have the waxed finish, be prepared to also bust out a big can of elbow grease every few months! That’s where water-based polyurethane finishes come in. Known as polycrylics, these finishes are an excellent alternative to use over chalk paint, for several reasons. Mostly they offer more of a permanent, durable finish that does not need to be reapplied. They are not heat sensitive like waxes are and they do not need to be completely removed should you chose to repaint. Oh, and they do not require any special courses in correct application techniques! So for me personally, polycrylic wins the wax vs. poly challenge, hands down as my go-to finish of choice over chalk painted furniture. What kind of wax would you use? 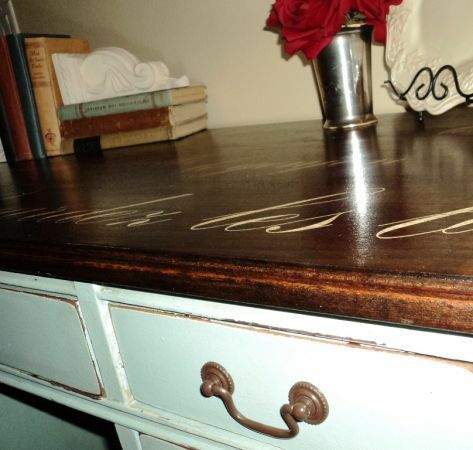 Honestly, I rarely wax over chalk painted furniture anymore. But occasions do arise when I will use waxes. I love Minwax Paste Finishing Wax. It’s easy to work with and buffs out to a gorgeous finish! Another big plus is that it’s easy to find!! If I am going to be using a dark wax, I like the Annie Sloan Soft Wax. 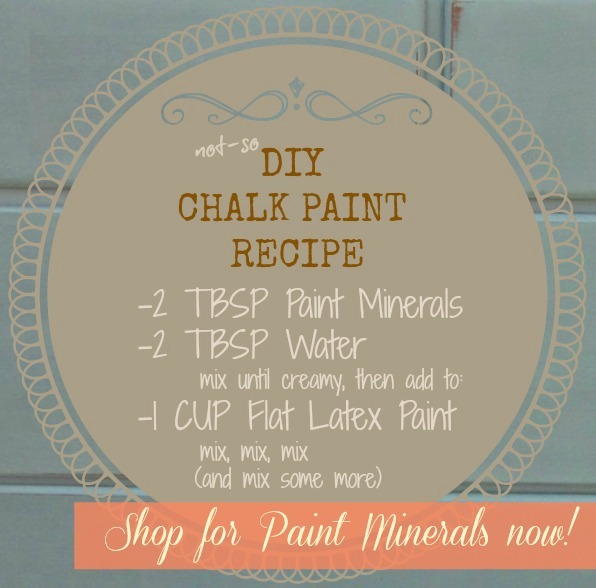 What type of clear sealer do you use over chalk paint? There are several brands of water based polycrylics available. Admittedly, I have not tried them all, but I have tried several. I really like the Minwax Polycrylic, and I also love ease of the Minwax Wipe-On Poly for small projects. But, my all-time favorite is Varathane Crystal Clear Water-Based Polyurethane. 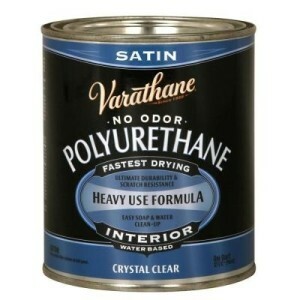 In my area, the Crystal Clear formula has been replaced with a white labeled can that just reads: Varethane Polyurethane. I have been using this product for several months, and so far **knocking this wood buffet** I seem to have the same results as the Crystal Clear formula. UPDATE 9/15/14: I contacted Rustoleum and have been told the white label can is NOT the beloved Crystal Clear Formula. So , while I have not experienced any yellowing, I just want to clarify, THIS IS NOT IS CRYSTAL CLEAR FORMULA. I should point out that POLYCRYLIC generally refers to a water-based finish, and POLYURETHANE refers to an oil-based finish. Varathane calls both their water-based and oil-based formulas by the generic “Polyurethane” name. 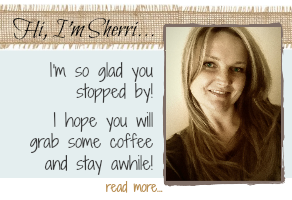 In this post, I am specifically referring to the water-based formula only. Oil-based polyurethanes WILL AMBER over time. How do you apply the poly over chalk paint? Using a good quality synthetic brush (Purdy’s are my preference) apply the poly in the direction of the natural wood grain. Using long, even strokes, work in one direction only, and try not to “over work” it by going back and forth into the wet area. Allow it to dry a couple hours between coats. While it does not require sanding between coats, I will sometimes sand lightly with a brown paper bag (yes, the grocery / lunch sack kind) if I need to knock down any bumps or little ridges. This can also be done after to buff it out to a gorgeous shine. Now, I have read that Annie Sloan wax can be top-coated with a polycrylic. Besides ASCP, I have also heard other chalk style paint manufactures claiming that you can apply poly over wax. I personally will never recommend that, and neither do the polycrylic manufactures. The back of my can reads “surface must be free from wax before applying” in two different areas of the label. Can I apply wax over polycrylic? Yes, you can. If you want the durability of the poly, but the look of a wax, you can use them together AS LONG AS THE WAX IS THE FINAL COAT. Because of the nature of wax and the way it cures, I would suggest using a matte poly if you want a wax top coat. Allow it to dry completely before waxing. Can I apply Dark Wax over poly? Yes. 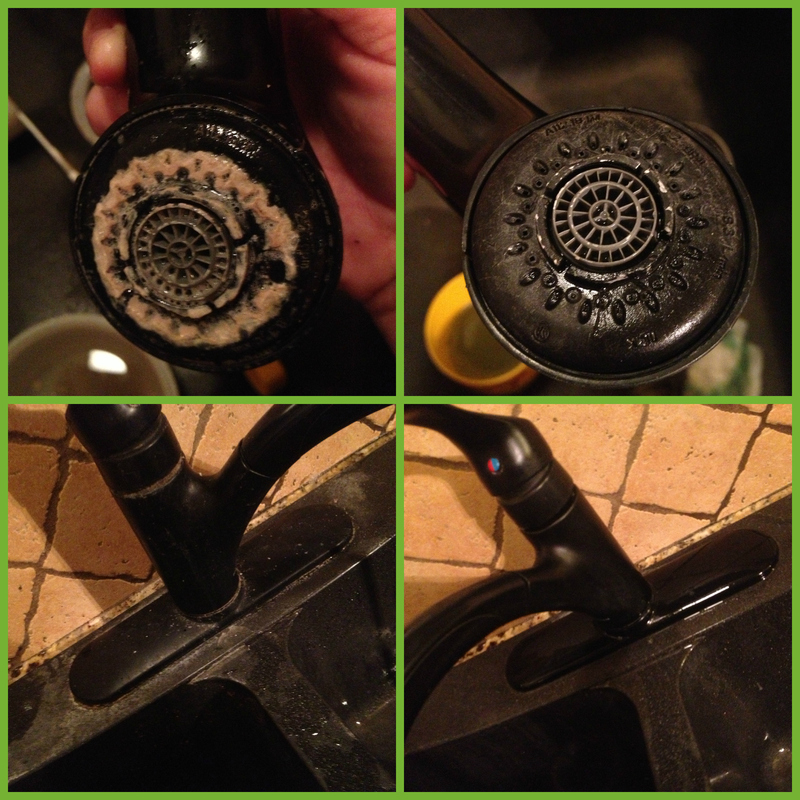 Remember the rule “Wax is Last” So if dark wax is going to be your last step, you can absolutely apply it over poly. If you have just painted furniture with chalk paint and you want to really bring out the details and give your piece some character, dark wax is a wonderful product. Apply the poly first, so the dark wax does not stain the porous chalk paint. Can I use Chalk Paint over the polycrylic? Yes, you can. That is one of the benefits of using a polycrylic vs wax. If you change your mind on the color, or simply want to repaint your furniture piece later on down the road, you can do that! The poly does not need to be removed. What kind of sealer do you recommend for Chalk Painted kitchen cabinets? A polycrylic would be my preference. I would not use a wax for a few reasons. If you’re like me, your cabinets will need to be wiped down almost daily. Splashes, spills and tons of chocolatey little fingerprints may need to be scrubbed. Lots of heat from all the cooking and baking that may (or may not) be going on… Wax will wear down very quickly under those conditions and will need to be re-applied more frequently. Let’s face it, waxing kitchen cabinets is not high on my monthly to-do list of chores. If I am going to spend the time to redo kitchen cabinets, I only want to do it once, and forget it! I really don’t need frequent reminders of what hard work that can be! What kind of sealer can I use on my kitchen table top? For the same reasons listed above, I would use a polycrylic. At least 4-6 coats would provide a gorgeous, durable finish that would hold up well under the use and abuse a kitchen / dining table may receive. If I really wanted a virtually indestructible finish, I’d go with the Varathane Floor Finish. Disclaimer: Although I think I would be a heck of a great spokesperson… (are you listening @rustoleum??) I am not sponsored or compensated in any way by Varathane. I just love the brand and have used it for dozens of years, even back when it was called Diamond by Flecto. I know this post is a couple of years old but just wanted to throw out there that Ace Hardware & True Value both carry Varathane Poly. A lot of people forget about their local businesses & head straight to the big box stores. Even though both Ace Hardware & True Value are franchises, they’re locally owned & operated. Support your local businesses & keep your tax dollars close to home! Hi there! I just purchased a hand painted desk. I don’t think it’s chalk paint. The person I purchased it from said to get a product called paint hardener to protect the top of the desk as I will be using it for work. I went to Home Depot and asked them about it and the guy showed me a powder that you add to paint. Not what I need! What would I use to cover the top of the desk to protect it? The desk the guy showed me at their place had a nice sheen to it and he said you could set a cup of coffee on it, etc., without any damage to it. Do you have any idea what I should use? They just said it was in a yellow can or you can buy it in spray form. They are not answering me back on my question. Thanks much! I am following your example while I am redoing a buffet. 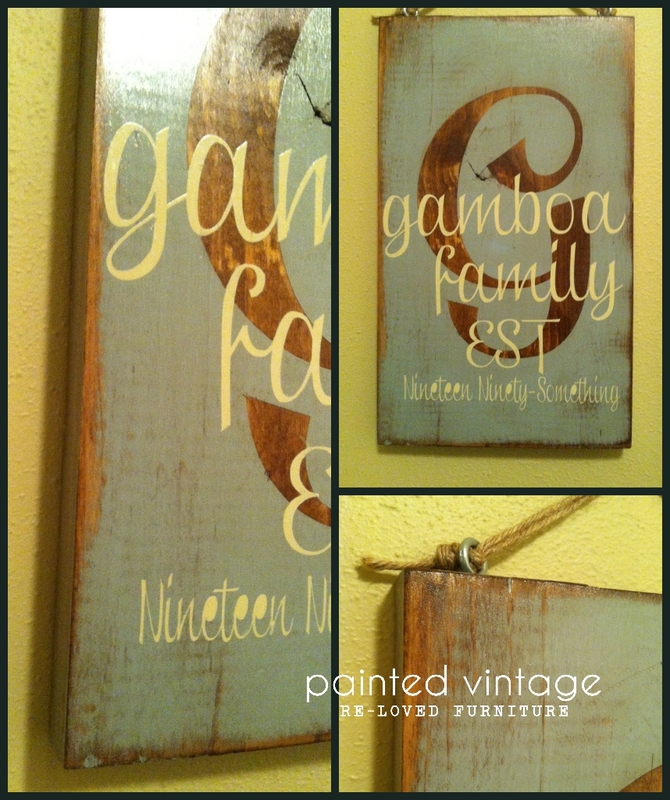 I painted it with Valspar chalk paint put a coat of polycrylic over it. I just put Valspar antiquing glaze over that. Can you tell me how long I should wait before I put another coat of poly over that. I loved your post. I don’t care for waxing either. Finally ! My questions answered! Seriously thank you!!!!! !